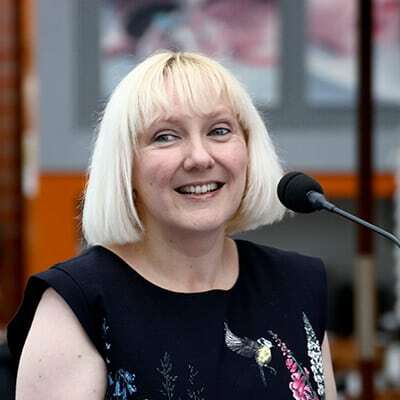 One of GDA’s founder members, Tressa has been GDA CEO since 2006, steering GDA from its fledgling vision of supporting disabled people’s voices and tackling social isolation in 2001, to the multi-award-winning community of 4000+ it is today. Tressa has held senior leadership roles in third and public sector organisations developing people led programmes which build on disabled people’s strengths and capacity to participate and contribute to their own lives, communities and wider society. She has expertise and insights in equalities issues, particularly disability equality as well as the cumulative impact of multiple discrimination e.g. disabled women, disabled LGBT people, disabled, black older person etc. Tressa has led organisations which make use of approaches based on lifelong learning and capacity building, peer support, and boosting participation. These both support people to survive and thrive and use their voices to influence policies which bring about positive changes. A disabled person herself, Tressa has increased participative and representative democracy for disabled people in Glasgow and Scotland. Through GDA, Tressa acts as strategic partner and advisor to both Glasgow City Government and to Scottish Government. She is currently a dedicated Board member of Inclusion Scotland, the national voice of disabled people. Tressa holds an MA in Music & Philosophy and a postgraduate Diploma and Masters in Social Work with specialism in Community Development.